When you have a child that’s ready to celebrate a birthday it’s always a great idea to throw a party for them. 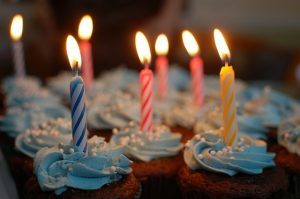 Birthday’s are particularly special… whether it’s the first big party that you’re throwing for them or if you have given them a party every year, you always want the birthday party you throw for your child to be absolutely amazing and you want to make sure that you’re doing everything you can in order to make sure they’ll have a great time. When you’re planning a skating party for your child you want to make sure that you’re doing all you can to ensure they’ll have a great time and the activities that’ll coincide with the skating will be fun, exciting and memorable. When you want to put on a great skating party for your child in Tallahassee there’s only one place for you to turn to, and that’s Skate World. You need to make sure you come to us; we are here to help you throw a better birthday party for you child and we aim to make the process easy for you to do and fun at the same time. When you come to us for a birthday party you know that you will end up having a great party for your child and it will be stress free for you. With skating, arcade games and the playground for the children to play on, along with food, drinks, tokens, invitations, special gifts for the birthday child and a party host/hostess all you have to do is choose what you want and relax! Throwing a skating party for your child has never been so easy! We are thrilled to help you make sure that your child has a joyous time and has a party they’ll never forget!